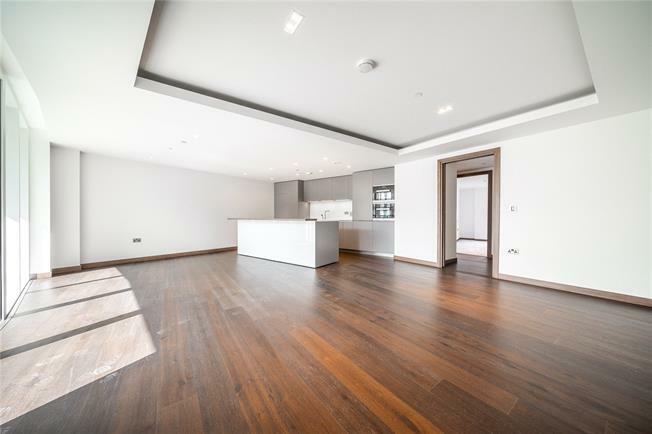 3 Bedroom Flat For Sale in Paddington, London for Asking Price £2,250,000. A seventh floor (with lift) apartment set within a brand new development. Accommodation extends to 1324 sq ft and is formed of open plan kitchen reception room leading to south facing terrace, which will benefit from views over the communal gardens (due for completion mid summer. The master bedroom features dressing room, luxurious ensuite bathroom with his and hers basins, bath and walk in shower. The two further double bedrooms both have built in storage, and share the guest bathroom. Please note, photos are indicative only and may be of an apartment with similar footprint or computer generated.